• GM dexos1 Gen 2 (supersedes 6094M) Fortified with detergents that exceed the dexos1 Gen 2 sulfated ash specification. 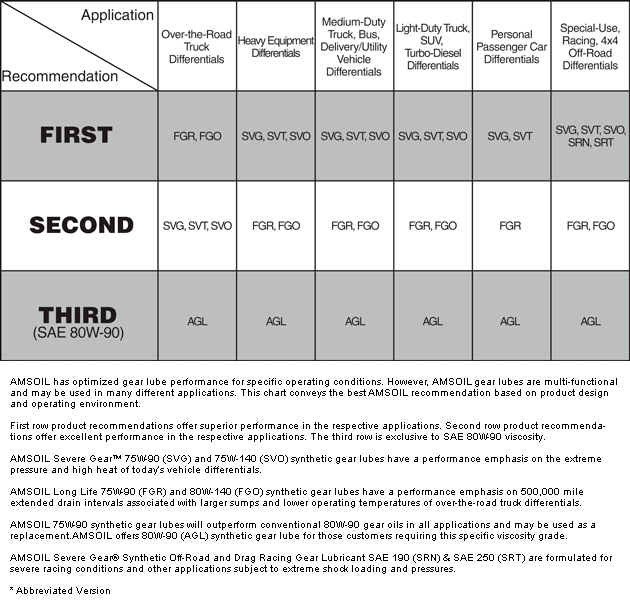 Click here to view the MSDS Data Sheet for AMSOIL XLM. Votes & Reviews: 150 vote(s) and 247 user reviews. I use the best amsoil thy sell. I have a 4.3L motor in an old Chevy truck. This oil looks clean when I change it once a year. I don't put many miles on the truck. Just changed my 2012 HD F150 6.2 to Amsoil XL after using factory full synthetic oil. Went from 12 mpg to 14 mpg immediately. Also runs smoother. I know I can trust this oil. Have been for years, and will continue to do so! Amsoil is the only oil I use in any of my gas engines. Keeps my 2013 f-150 wisper quiet. I also use it in my three wheeler and four wheeler. Great product. Keep this in my inventory and use in every oil change of my 8 vehicles. Great product! I use AMSOIL in every engine I own from Diesels to weedwhackers. This 5w20 is new to me but has the same basic characteristics as all AMSOIL products. 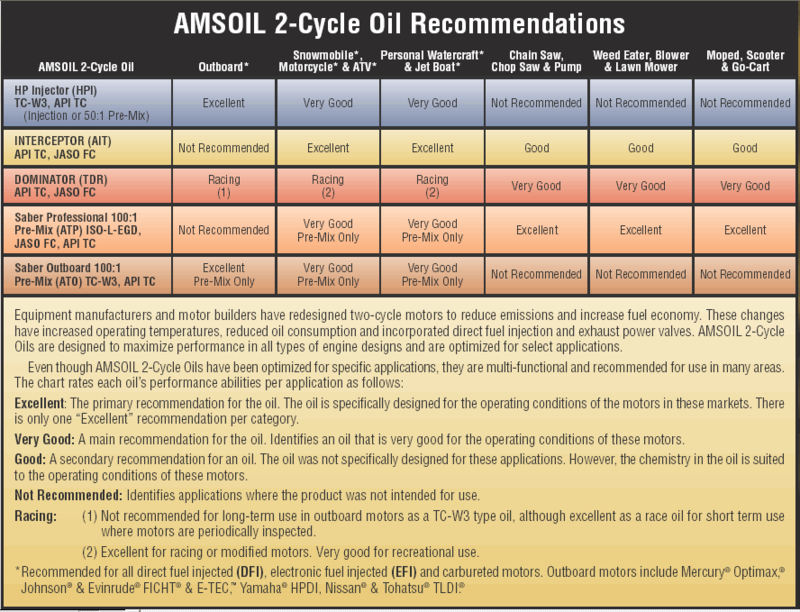 I have been using the Amsoil products in my vehicles since they were new and they have performed very well. i use amsoil in all my vehicles car motorcycle and snowmobile no problems with any of them with amsoil in them!!!! Changed my 04 F150 over to XL 5 w 20 Synthetic shortly after purchasing it . I did my research on this product wanting the best protection for my vehicles in all driving conditions. Amsoil gives me the piece of mind i need for worry free lubrication reliability. I like the Amsoil a product . I see Better Gas MPG too . This to me is win win . my mileage but just from the comparison specks and the way my vehicles run is proof enough for me. I have about 2000 miles in this oil change in my 392 hemi. Most have been interstate miles and the rest are me driving like I stole it. And the engine hasn't blown up, can't ask for any better of an outcome. I use it in 2011 jeep compass,and 2004 ford freestar . Consider this. 6 to 8 dollars for a quart of oil seems high till you understand it is protecting a vehicle that cost 10 to 50 thousand. Then it sounds cheap. My truck has never had any other oil but this one, since I bought new in 2009. I highly recommend it to all my friends . 250,000 miles and still going strong. Thanks Amsoil. Been using for over 20 years do not trust other oils. This is the only oil I'll use in my Tundra, keeps her running strong. It is a great oil did not burn I mean very little engin is very quit no matel grinding noice. I started with one vehicle and now I'm running it in three. Great stuff and don't need to change it as often as conventional oil. I bought this oil for my wifes LR4 . this oil has been amazing engine is queiter & gets better milage. No more trips to the dealer for oil changes for me on this one . Changing all my vehicals, TJ unlimited & my pro tour Camaro over to Amsoil. I use this weight in my 2009 Hyundai Genesis, and it has over 107,000 miles on it. I buy Amsoil oil to do my own oil changes...have for years. Amsoil always delivers the products I've ordered in timely manner and the packaging is always superb. The product itself is superb. I just feel better about having AMSOIL oil flowing in my vehicle's engine. I' started using Amsoil 8 years ago because of issues I had with Mobil 1 figured I'd try Amsoil and was impressed by the mileage increase and price, plus the longer service intervals. I use this in my 2011 Ram(Hemi) Longhorn Laramie. Still runs like the day I purchased it, mpg is awesome, and I plan to keep for many more years, thanks to AMSOIL! I use this product and will continue to use it. Last truck was a 2004 F250 crew cab with the 5.4 liter v8. Started using it after 10k miles and all the way till 204000 miles (hard miles) when I sold it. It never leaked or used any oil. I changed it every 6k and the truck ran as strong when I sold it as the day I bought it. With the outrageous prices for new cars these days, I don't plan on purchasing a new vehicle any time in the near future. Instead, I plan on keeping my current vehicles (5) running for a very very long time and trust no other motor oil to help me do that other than Amsoil's XL synthetic oils. Proof is in the pudding ,,, or this case the oil ! Not so sure about this product? I recently switched to this oil in my 4.6L f150. This truck has 106,100 miles on it. It's had motorcraft synthetic blend changed every 3k-5k miles with a fl-820 filter since new. Immediately after switching to this oil the engine developed some cold start and low RPM knocking. I believe this is due to the timing chain tensioners and or guides? The tensioners rely on oil pressure to keep the chains tensioned. So either the motorcraft was hiding a mechanical issue or this 5w20 isn't of similar viscosity to the motorcraft? Oil sample will be sent to blackstone at 3k miles. Still using the motorcraft fl-820 filter with this product. I cannot recommend this product until I have more info. Put this in friends car and now gets 4-8 mpg more fuel economy! I have a 2004 Mustang GT and have loved it since the day I got it way back in 2006. Because I plan to keep it, I try to keep it in top shape just like you would... and not cut corners. I go out of my way for the best possible quality in the products I use to keep it looking good but also running even better. It's up in mileage so this is one reason why I switched to a full synthetic oil for the engine. I wasn't familiar with AMSoil but once I was introduced it's all i use now. But like I said earlier, I go out of my way to find the best quality for the price. I've been pleased with this oil more than any other I've used for the past 11 years. This is the main body area. I'd much rather not receive these emails anymore. I've unsubscribed about 4 times now, but the emails just don't stop. I won't stop using Amsoil, but I mean, grow up. What been using Amsoil products for a couple of years. Every one has been top quality. I will never use anything else. I use this oil in my Ram 1500 Hemi. Works as described. Amsoil is the only oil I use in all gasoline and diesel engines I own. Not one oil related problem in 25 years. Not even an oil leak! Been using Amsoil for over 30 years on my 2 cars and my son's and daughter's cars and never had a oil related failure. I like amsoil because it's been tested and proven. It's nice knowing amsoil there protecting my SUV. I finally talked my Friend into trying an oil Change to Amsoil. After changing he told me that his truck seemed to be running better, starting much easier, and he thought he was getting better milage. A few days later he told me that now he knew he was getting better milage, about 2mpg. His truck is an older Chevrolet half to 4wd extra cab. I personally was converted a few years ago but thats another story. We can call my friend Brent, He has been building hot rods and high performance motors for years. He wanted one grade higher in weight than was recommended for his truck because of the high miles but now thinks he would have been fine. He is converted and wants to get gear oil and atf so he can change all his fluids to Amsoil products. We will both be changing differentials and transfer case lubricants at the same time. I have been aware of Amsoil since the late seventies. It is a superior product and the only synthetic I use. The 5.7 sees some harsh use during the summer. Towing, extended idling time and dusty roads tend to abuse oil. The Amsoil stands up to the job. Because it is still under warranty I do not exceed the manufacturer recommended service intervals but lab tests show the oil can go well beyond that. I love this oil and use it in my 3 cars and truck,with the 25,000 mile oil filters.I use this oil in my tractor also.I feel that AMSOIL is the best around and I've been very happy with it. No need for Signature Series oil...XL Works Great! I find that the XL works great, and is not as expensive as the Signature Series. I change the oil every 6 months or 5-7000k miles regardless, so I see the XL as excellent for those of us who do regular fluid maintenance. I will continue to purchase this product. I love the fact I don't have to change my oil 4times a year mow that I use the fuel saving XL 5 W-20. My truck (Dodge 03 1500) has 140000 on it. Amsoil has been there for me the whole time. Not one single issue. Runs like a champ. I run Amsoil in all my vehicles including my Harleys after initial break in period. I live in Tucson Arizona & Amsoil holds up great against the heat. Keeps everything running cooler. Oil is not all the same as many say it is. Big difference. Outstanding product I change oil at 10,000 miles not the 3,000 dealer oil change (so they can get in your wallet more often). I have 200,000 miles on my truck and 130,000 on my Toyota Hylander and they use about 3/4 qt of synthetic oil between oil changes. 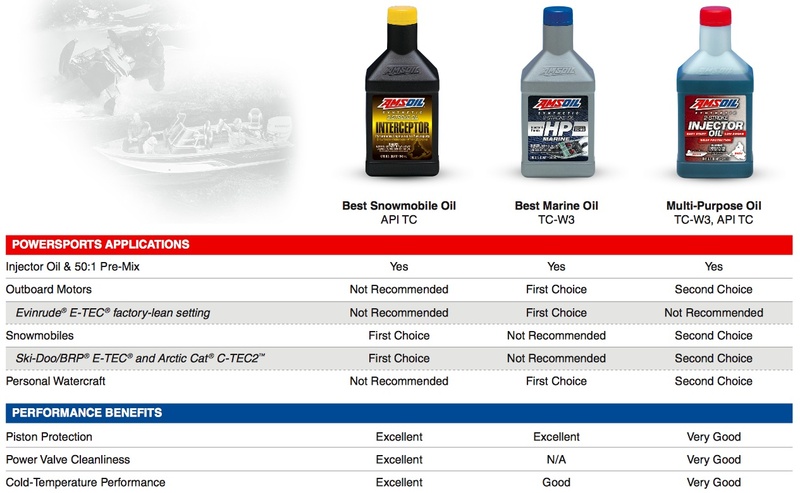 I use the highest rated Amsoil oil and air filters with every oil change. Makes my Dodge 1500 run better and I can run it extra miles on the oil change! Been using Amzoil for over 15 years. The extended mileage between changes saves money plus it provides the absolute best protection. No contest! I use it in everything. Used in my daily commuter. 120miles a day. 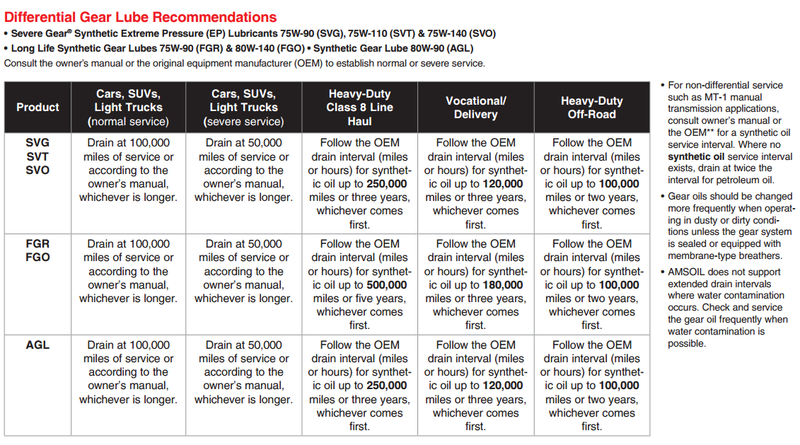 So longer oil change intervals is a must. 10k miles every change. I had 2 oil analysis's done both came back showing minimal wear if at all. I run it in my car and truck get amazing oil life and it great value. I decided if I was to do extended oil changes for my vehicles that synthetic is the way to go. All my research says that XL is the best. My engine runs smooth, it starts easy in the middle of winter at -20 below. With a $30,000 vehicle why not take care of it with the best. As a preferred customer I think the price is reasonable. Use in my wife's daily driver-2010 sequoia- ran for 6400 miles on first change, drained and sent to Blackstone labs. Results were motor was good (like the last analysis stated) but the difference was even at 6400 miles of stop and go driving it still had 2.9 tbn's. They recommended 7500 and re-sample but I wouldn't be scared of 8000 mile drain intervals. Great great oil. Best all around synthetic engine oil. I have been using AMSOIL XL 5w20 synthetic engine oil, in my 2007 Dodge Ram 1500 with the 5.7L HEMI, for three years. I have engine conditions from long idle times to full out performance with my performance modified truck. I change my oil & oil filter every 5,000 miles, even though I think this oil would work all the way up to double mileage. The oil still looks very good at that mileage interval. I highly recommend the AMSOIL XL series, it cost less than the top grade synthetic engine oil, works very well in todays modern engines.